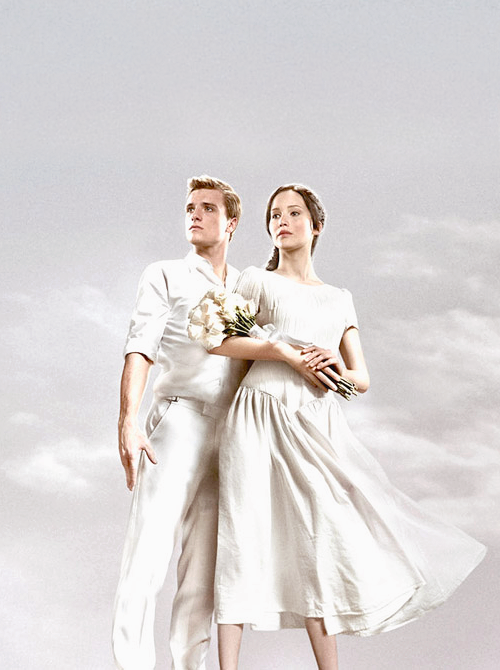 Official Catching आग Poster-Peeta & Katniss. . Wallpaper and background images in the Peeta Mellark club tagged: the hunger games peeta mellark mellark peeta movie josh hutcherson jennifer lawrence katniss everdeen catching fire. 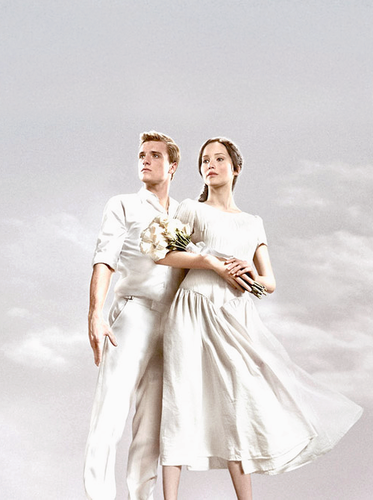 This Peeta Mellark photo might contain वर, सम्मान की नौकरानी, दासी की दासी, and सम्मान की नौकरानी के.